Summer is here, the sun is out, and everyone is ready to celebrate. Between weekend barbeques, family events, and holidays it is easy for home owners to overlook one major detail: electrical safety. So what exactly is there to worry about? Well, here is a list of summer electrical safety tips that are frequently overlooked by the average Cincinnati home owner. 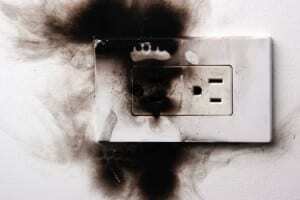 Were you aware that electrocution is one of the top ten accidents that occur within the home? According to statistics released by the National Institute of Health, roughly one thousand individuals die every year due to electric accidents that happen in homes. Disturbing isn’t it? Who would think that the items we use on a daily basis could be so dangerous. 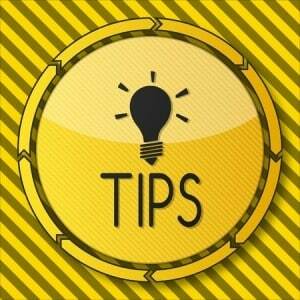 Luckily, by following a few simple tips, it is very easy to avoid electric mishaps. By implementing these easy methods you can relax, and enjoy your summer months knowing the right precautions have been taken. Make sure to periodically check extension cords for wear and tear. These are very easy to overlook as most homeowners tuck them behind furniture. Out of sight and out of mind. Yet, over time friction can cause the cord’s surface to degrade, exposing wires in the process. This can be avoided by examining the cords every few months. As most parents are aware, electric sockets and children are strangely drawn to one another. Throw in a metal dinner fork, and this is a recipe for disaster. Electric socket covers are the answer to this dilemma. They are relatively inexpensive, and should be placed on all exposed outlets. Even better is to have tamper resistant receptacles installed, they allow plugs in and keep children out. Bathrooms and kitchens can be considered hotspots due to their inclusion of water faucets. As everyone knows, water and electricity are not a good combination. Potential mishaps can be easily avoided by spending a few minutes checking the electric outlets in each room. Any exposed outlets should be covered for safety reasons. While on the topic of water, make sure never to handle appliances or electric outlets with wet hands as this can lead to an unpleasant shock. The same goes for electronics – unless it has specifically been designed to withstand water, keep it away! If you have a pool or hot tub in the back yard, periodically examine the underwater lighting for potential issues. Older pools and hot tubs may have faulty wiring, and will benefit from annual maintenance. 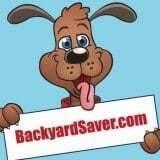 Air conditioners, hot tubs, and large appliances need to be plugged into grounded outlets. Extension cords are not safe to use, and may create unsafe conditions. If you have any questions regarding the connection, it may be wise to invest in a reputable electrician and have him or her check the connection. By checking electric outlets, covering exposed sockets, and following these summer electrical safety tips, you can sit back confident knowing the chances of an electrical accident within your home have been minimized. So stop worrying, put on a flashy Hawaiian t-shirt, and enjoy that lovely Cincinnati summer. You might also want to check our Keeping Family Safe™ checklists. This entry was posted in Electrical and tagged cincinnati homeowners, electric safety tips on June 1, 2015 by admin. Homeowners in Mason and surrounding areas should inspect wiring and electrical outlets in their homes because electrical maintenance will help to prevent hazards. Electricity is a luxury and also a hazard. The risk of a fire in a home is a threat to precious family members and to personal possessions. 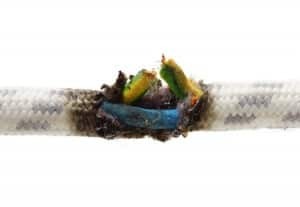 The electrical connections should be inspected for damage, for potential exposure to water and for overheating, which could melt the insulation on power cords. Home appliances should also be inspected for problems. There are insulated covers for electrical outlets that can be used to prevent objects from entering the openings. A small child could try to insert a toy into an electrical outlet that is not covered. There could be a fire that was caused by mold or dirt that had accumulated in the openings, which was triggered after inserting the prongs of a power cord. Homeowners will incur less expense and less effort when replacing an electrical outlet than would have been used for replacing a home. Electricians install wiring into homes to accommodate for a specific electrical load on a circuit. If wires are concealed or covered, the wires may overheat because there is not a sufficient transfer of heat from the wires to a cooler environment. The insulation should be inspected for cracks and should be replaced if there are any problems that will cause a hazard. The wiring may have been installed more than 50 years before the current owners had purchased the home. Electrical wires are occasionally connected with connectors because the wires were not sufficiently long enough. The connectors may be inside walls or exposed in a basement. If homeowners notice an older style of connector in an electrical circuit, the connection should be updated with a newer style of connector. Modern families use more electricity for televisions, stereo systems and for home appliances than was typically used during past decades. The price of a new connector is much less than the costs that are associated with damages that are caused from fires. Circuit breakers should be used instead of fuses because circuit breakers will stop the flow of electricity to a circuit. The circuit breakers have switches to disconnect the flow of electricity, which can be turned on or turned off. Fuses are commonly found in devices but should not be used instead of circuit breakers for controlling the flow of electricity to rooms such as kitchens or living rooms. Clamp meters that can be used to safely measure the current that is flowing through circuits. The voltage, resistance and current should be evaluated to determine if the circuit must be updated. The wiring may also be overheating, which is a sign that the circuit is not properly designed to accommodate the electrical needs of the homeowners. Dietrich Electric provides services to homeowners in Mason, Ohio and can perform inspections and offer recommendations for electrical maintenance to prevent potential hazards. This entry was posted in Electrical and tagged electrical systems on May 5, 2015 by admin. Electrical systems in homes and businesses are essential in keeping the lights on and appliances and machines functioning properly. This is particularly true in places like West Chester, OH, that see cold winters and hot summers as electricity is used to power furnaces and air conditioners. There are a number of things that people should look out for to make sure that there are no problems with your electricity. There are many instances when homeowners are in need of an electrical services company. In fact, there are a number of telltale signs that you should have your electrical system checked or upgraded. This includes when as a homeowner you do not have surge protection that can handle a storm or power surge or there are broken receptacles and switches that could potentially cause a code violation or electrical hazard. You should also have your electrical system repaired if you are experiencing problems with circuits that continually trip from being overloaded. In addition, you should check to make sure that breakers in the sub and main panels are working correctly and that there are no signs of weathering or rust on the service equipment. There are also many cases when you may want to upgrade the electrical system in your home. You may want to ensure that your smoke detectors are all functioning properly and that all areas of the house have sufficient lighting. If there are children in the home, you will want to make sure that everyone is safe by installing tamper-resistant electrical receptacles. In all of these situations, you should seek the help of a professional electrical service provider. Commercial equipment is often very different than the electrical appliances used in homes. It is much more complex as business equipment may run on completely different power configurations than those commonly used in residential applications. With this, business owners need to call the experts when you are having any issues with the power that runs your machines. In addition, complex power systems may have to be completely reconfigured if a business is expanding, adding new equipment or experiencing electrical problems. Businesses may also be required to comply with local, state or federal guidelines that govern workplace safety, and many of these require installing things that are run by electricity. Business owners may also save money by making your facility more energy efficient. You can do this by either replacing existing lighting installations or retrofitting your lights with an LED system. This can be a simple or complex job depending on what the business owner wants done, but retrofitting will always pay for itself in the end with what the company saves on its electric bills. Nobody likes it when you are having electrical problems, and there are some cases where you need to make sure that appliances, medical equipment or machines are running 24 hours every day. Luckily, West Chester residents can rely on quality electrical service companies like Dietrich Electrical LLC to ensure that your power keeps running all of the time. This entry was posted in Electrical and tagged electrical issues on April 7, 2015 by admin. Electrical systems in homes and businesses are essential in keeping the lights on and appliances and machines functioning properly. This is particularly true in places like West Chester, OH, that see cold winters and hot summers as electricity is used to power furnaces and air conditioners. There are a number of things that people should look out for to make sure that there are no problems with their electricity. There are many instances when homeowners are in need of an electrical services company. In fact, there are a number of telltale signs that they should have their electrical system checked or upgraded. This includes when homeowners do not have surge protection that can handle a storm or power surge or there are broken receptacles and switches that could potentially cause a code violation or electrical hazard. People should also have their electrical system repaired if they are experiencing problems with circuits that continually trip from being overloaded. In addition, they should check to make sure that breakers in the sub and main panels are working correctly and that there are no signs of weathering or rust on the service equipment. There are also many cases when people want to upgrade the electrical system in their homes. They may want to ensure that their smoke detectors are all functioning properly and that all areas of the house have sufficient lighting. If there are children in the home, people will want to make sure that everyone is safe by installing tamper-resistant electrical receptacles. In all of these situations, they should seek the help of a professional electrical service provider. 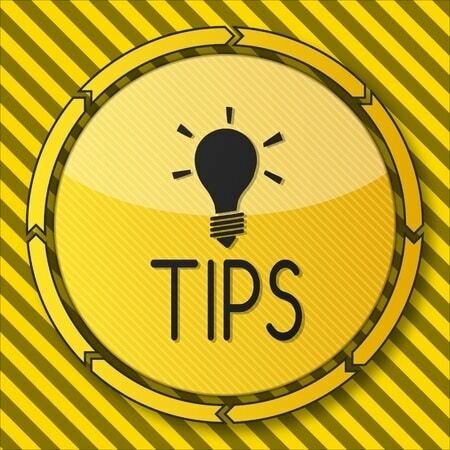 owners need to call the experts when they are having any issues with the power that runs their machines. In addition, complex power systems may have to be completely reconfigured if a business is expanding, adding new equipment or experiencing electrical problems. Businesses may also be required to comply with local, state or federal guidelines that govern workplace safety, and many of these require installing things that are run by electricity. Business owners may also save money by making their facility more energy efficient. They can do this by either replacing existing lighting installations or retrofitting their lights with an LED system. This can be a simple or complex job depending on what the business owner wants done, but retrofitting will always pay for itself in the end with what the company saves on its electric bills. Nobody likes it when they are having electrical problems, and there are some cases where people need to make sure that appliances, medical equipment or machines are running 24 hours every day. Luckily, West Chester residents can rely on quality electrical service companies like Dietrich Electrical LLC to ensure that their power keeps running all of the time. This entry was posted in Uncategorized and tagged West Chester on March 5, 2015 by admin.